People normally worked 6-1/2 days in 1907, with pay being distibuted in cash (coin, mostly) after Saturday noon. 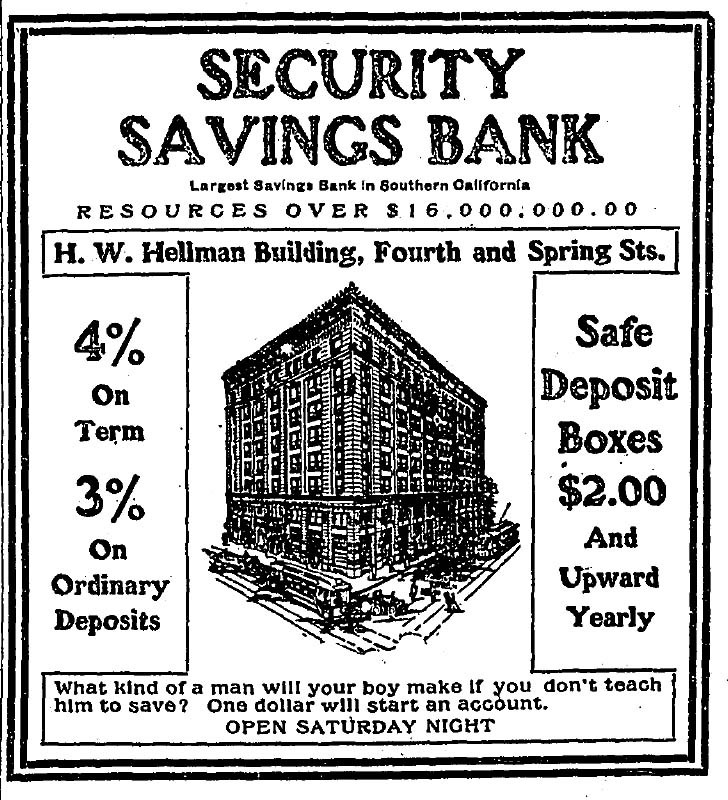 Much of it was spent in Saturday-afternoon shopping, and whatever was left over could be deposited in a savings bank. Thus the banks were kept open Saturday evenings, which made everybody happy except the bank tellers. We forget how important the struggle for a 40-hour week was in the history of labor and how much the (mostly) non-union workers of Los Angeles owed (and still owe) to the union movement that made so much progress in the 1930s.